Few people know that the Scion School exists. Tucked away on a private Caribbean island, the school hosts 36 exceptionally gifted students. They train every day to prepare themselves for an immense responsibility, to lead humankind back from the brink of extinction. Only one student - a 17-year-old named Jacey - suspects the truth. 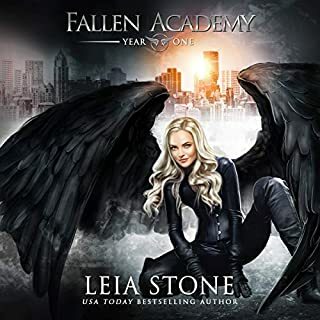 Driven by her undying loyalty to her friends, Jacey races to untangle the truth of who the Scions are...and what the headmaster truly means when he says they are bound for a great destiny. 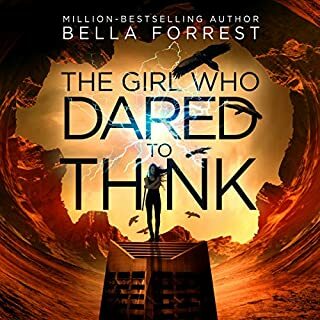 Daughter of Nothing is the first audiobook in an amazing new series for fans of young adult dystopian fiction. Eric Kent Edstrom - author of Starside Saga - is back with more lovable characters, thriller pacing, and shocking twists you’ll never see coming. Start listening to The Scion Chronicles series today, narrated by Audie Award winner Nancy Peterson. This author has created a future world with an unique concept where the elite class of people can live forever. But how is this possible? An exciting first book in this new series. It has very endearing characters. A plot line that twists and turns and drags you into the story and, all of a sudden, you just have to keep reading faster and faster to find out what is going on, who is going to survive and what is going to happen in the end. I can't wait to read the second book! I really loved the story, and Nancy really narrated it very well, alternating her pitch and tone really helped set the stage. Eric, you write a very good story! Keep it up, I can't wait for the next one. This book is told from Jacie's point of view, a 17-year old girl. She is a scion, which means she is one of the select few that are being trained in a special school for children to help restore the world after a cataclysm has destroyed much of it. Or is she? After a series of events occurs, Jacie begins questioning for the first time if the world she knows is real or a lie. Raised isolated from the rest of the world, the scion school on a remote island is all she knows. She wholeheartedly believes in their mission, but should she? What really happens upon graduation? Where do they go? And why is the director of the school showing such a special interest in Jacie's progress? Obviously, these and other questions are answered in the book. This was my first audiobook ever. At first, I felt that the narrator's voice was a bit robotic. But her voice soon warmed up and adapted according to each character's speaking parts. I think that she does a great job in making the story come alive. I didn't want to stop listening and felt as if I were watching a movie. I greatly enjoyed the story, but there were two things that detracted from it. First off, Jacie being so clueless was driving me crazy. It's a good sign that the author is really able to show things from Jacie's point of view. You see her struggle to put together all the clues, but with limited sources to draw information from and her upbringing, she takes a long while to put the pieces together. Because of this, I think the reader is able to deduce what is going on long before the main character does. This can be a source of frustration because you want to know what happens after Jacie figures everything out, but this is delayed for a while. The second thing that detracted from the story is that I have encountered similar storylines in other books. That means that after the story reached a certain point, I knew, more or less, what was going on and what was going to happen. Of course, the smaller details are flexible, but I wish the waiting period between figuring out what was going to happen and it actually occurring was shorter. Despite this, I enjoyed the story overall and am hooked, left wanting to see what happens in the next book. Pros: great story, interesting, well-written, left hooked. Cons: familiar storyline, slow progression of storyline in some parts. 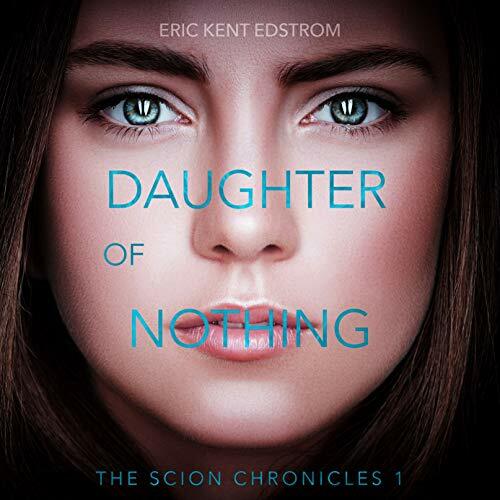 I enjoyed listening to this story, Eric Edstrom kept my attention drawing me into the lives of the scions, wanting to know what would happen next, to where I look forward to listening to book 2 in the series. Dr. Carlhagen was a bad man! Very few books make me want to skip to the end just to get some relief from the very bad guy but this book sure did. I was soooo tempted. Dr. Carlhagen was the epitome of evil genius and everything about him was icky. Jacey was in his crosshairs and the source of much tension. This dystopian listen was excellent. It was propelled by equally excellent narration. Nancy Peterson embodied Jacey's innocence. She amped up the evil of Dr. Carlhagen. She brought the alpha male to Vaughn and Humphrey. She even delivered Cassie's mean girl. We got a glimpse into the next book in the series and oh boy, do things get curiouser and curiouser. 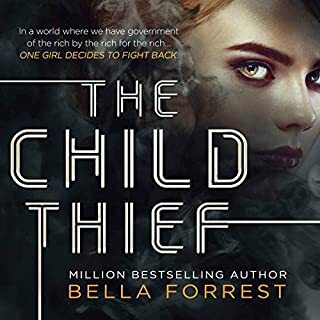 "I was gifted a copy of this story and this is my honest review"
This book has many plot twists that will keep you guessing what happens next. It has such an interesting plot line and introduces several complex characters throughout the storyline. 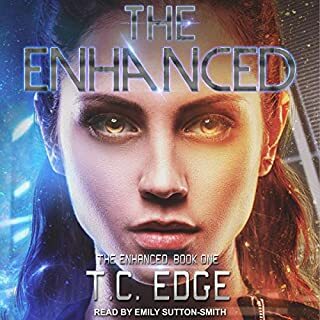 The narrator did a great job overall adjusting tone and inflection for different characters however I did find the whole effect to be a bit dull. I was easily distracted due to the soft voice. My fourth amazing read from author Eric Kent Edstrom. I first discovered this author in Thief of Sparks (Starside Saga #1) & A Raven's Dream (Starside Saga Book 2). 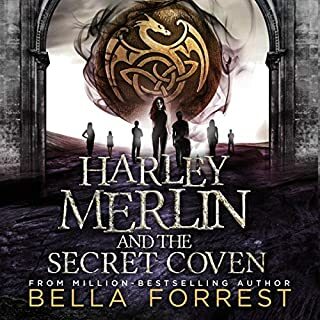 As good as those books are this one is better & I can't wait to read the next book in this series and having read/listened to this one in audio I'm very tempted to do the next one in audio as well! Just when you think you know what's going to happen there a twist thrown at you. The author tells a tale that kept me listening when I should of been sleeping. Couldn't stop i was so engrossed in the lives of Jacey and the other students at the Scion School . Can't wait for the next in the series. Truly I was not accepting such a good story especially when the plot was discovered so early in the story, but the author have made up for it and then some, especially with the twist near the ending. Included few unsolved mysteries for the rest of the series which gives you the taste of wanting more which is what makes a series good and I certainly can’t wait for the next book to come out. The book was written beautifully! This book is Fully recommended !!! For an honest review, I accepted this audiobook for free. Loved it more then I expected. I have not read anything by this author so I was not expecting anything but he really surprised me with this book. We get into the book quite quickly and we are told a few things early on but there are some twists at the end that I did not see coming. There is some action, mystery and a little romance. I liked how the author did the romance, (who the main character liked), I thought it was realistic. There is no sexual content or profanity but it does have some mild violence. This is suitable for all. Young adults and adults alike would love this, I would highly recommend it. The author also gives us a teaser of the second book and that one has me intrigued since a lot happens in the first few chapter that I was really surprised about. The narrator did a good job in voicing all the characters.